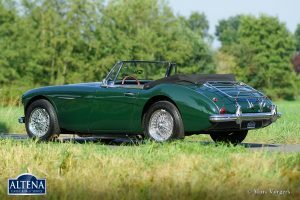 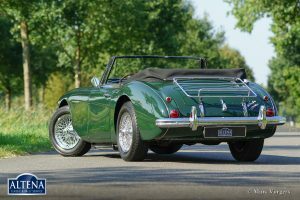 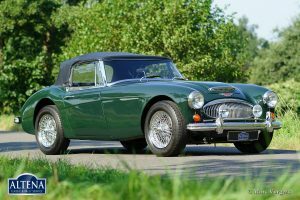 Austin Healey 3000 Mk III phase 1 (BJ8), year 1966. 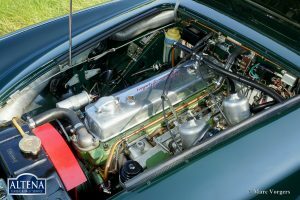 Chassis number (VIN) HBJ8L301XX, engine number 29K/RU/H167XX. 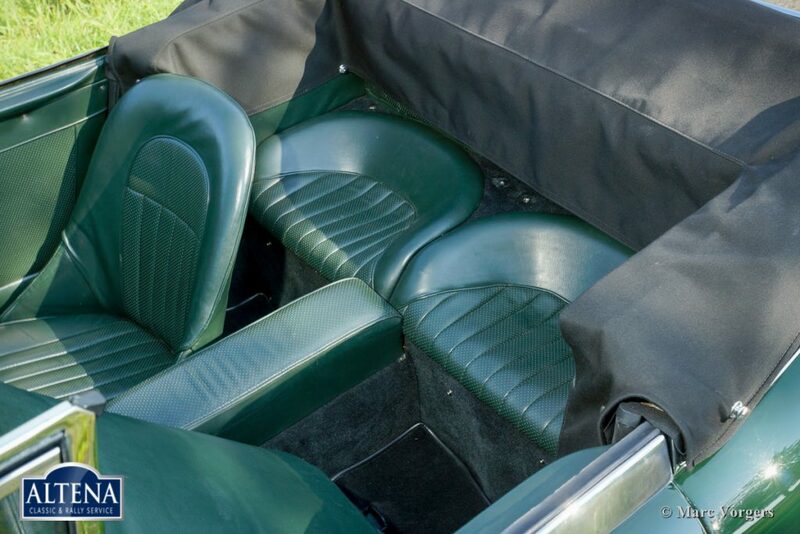 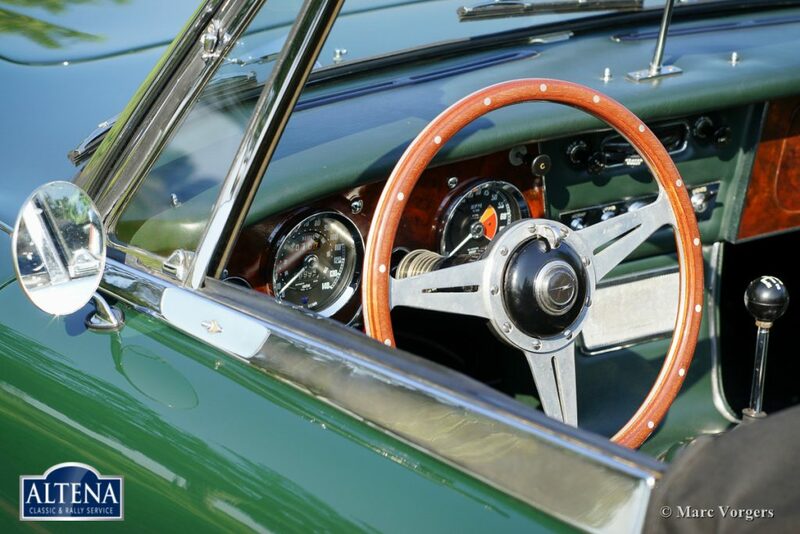 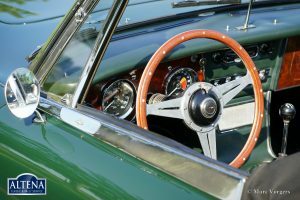 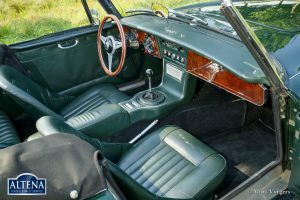 Colour British Racing Green with a green leather interior and dark green carpet. Black vinyl hood and hood cover. 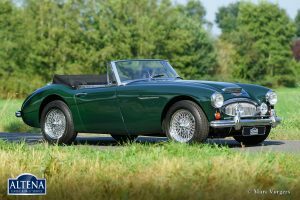 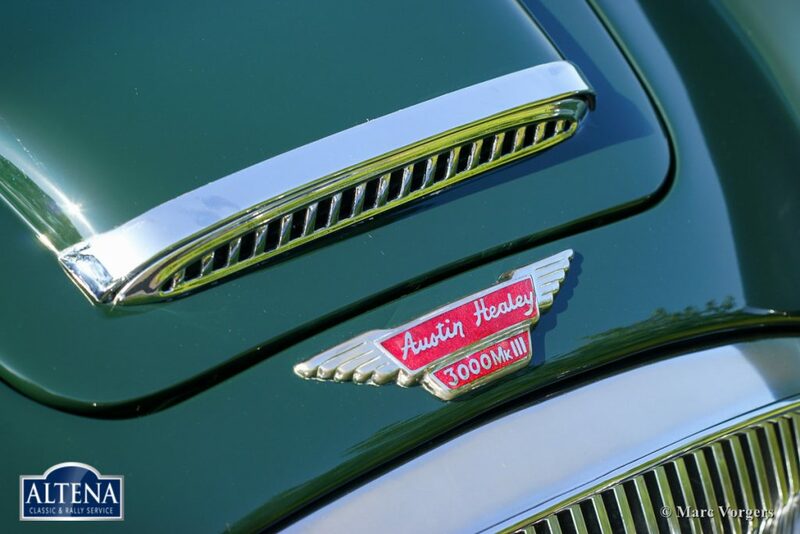 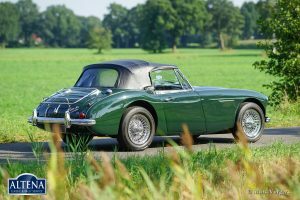 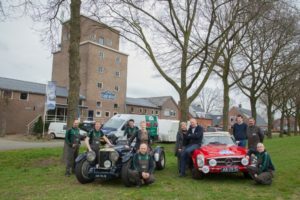 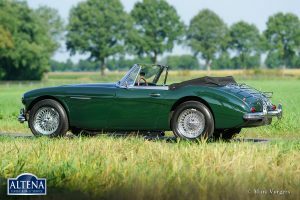 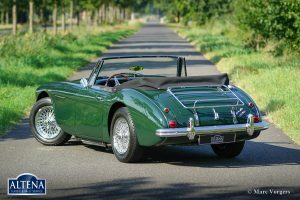 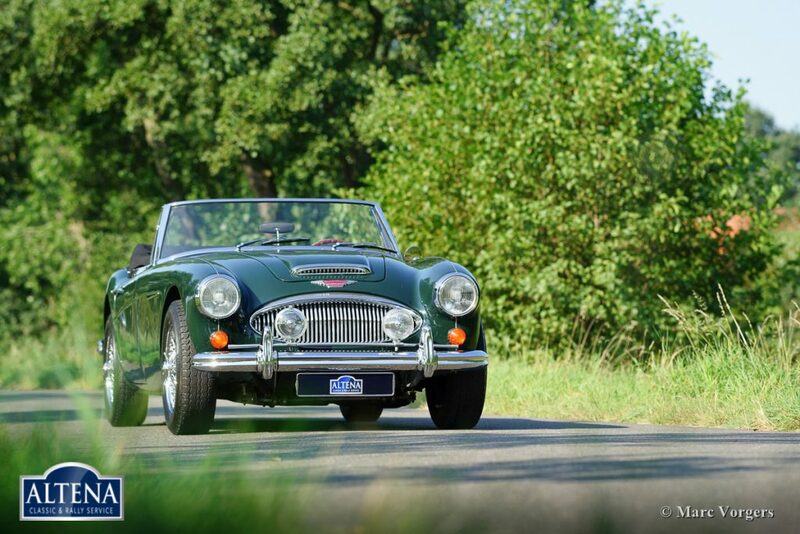 This fantastic Austin Healey 3000 was extensively restored by a German specialist in the past. 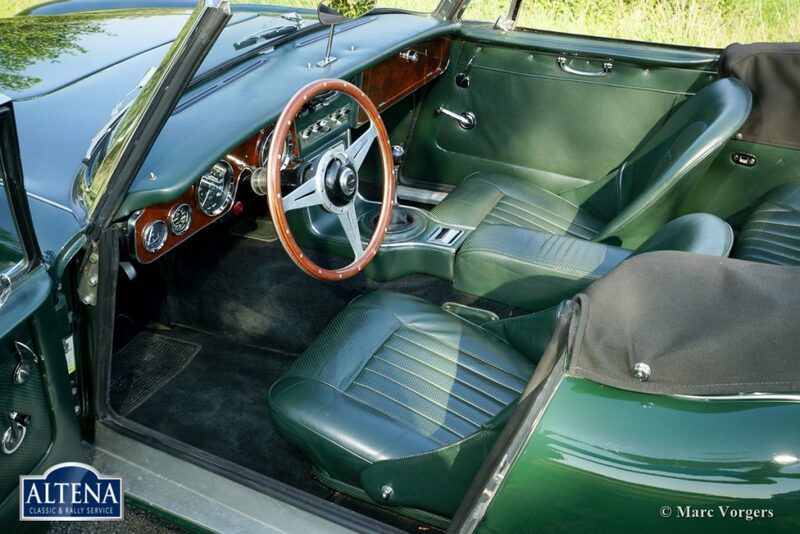 The restored bodywork shows crisp lines and beautiful panel fit. 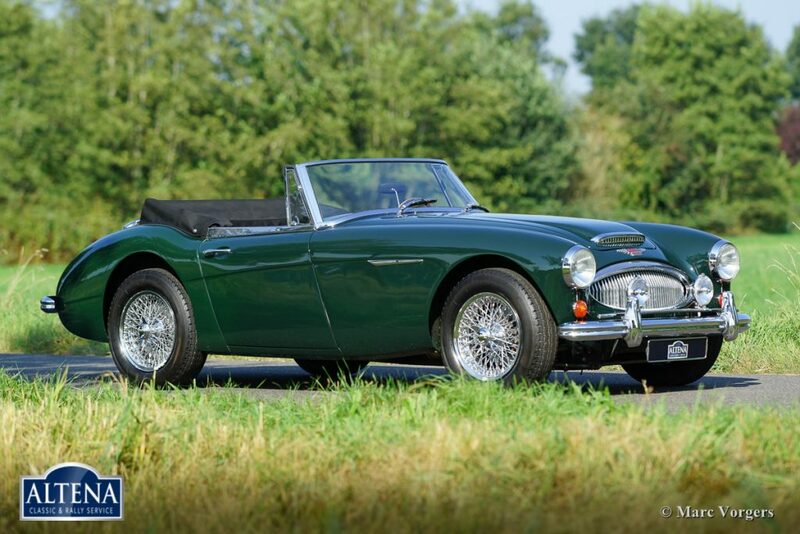 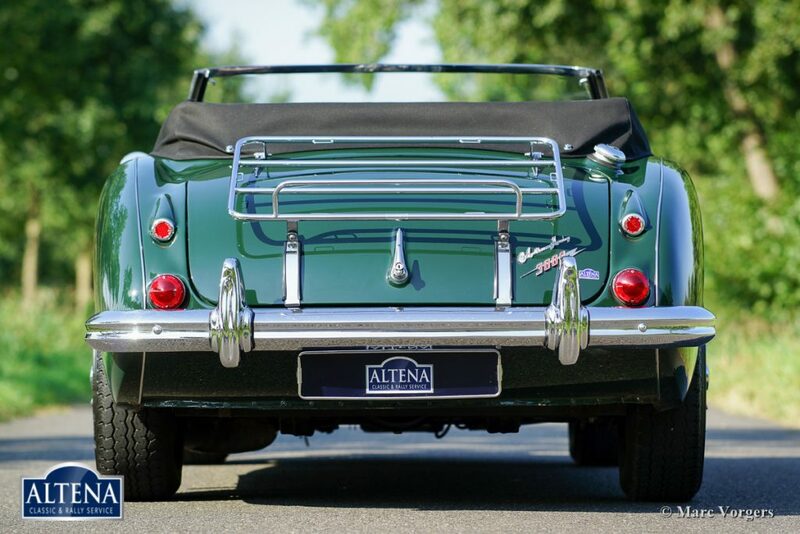 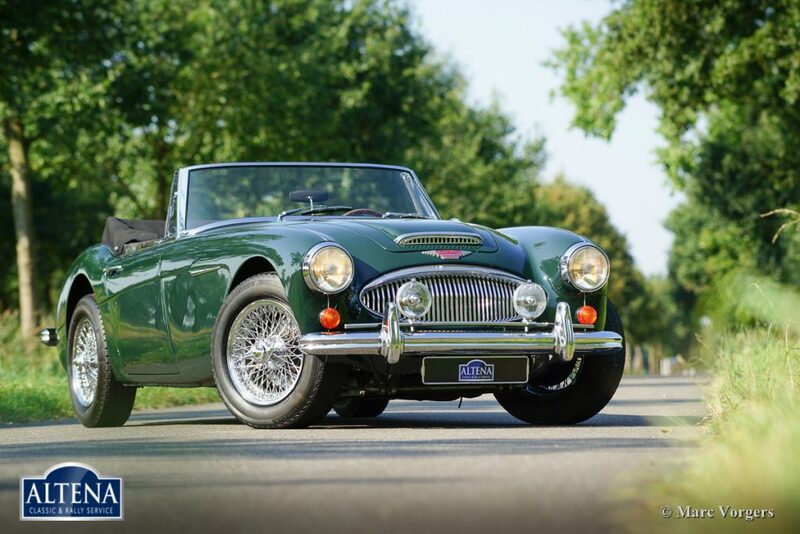 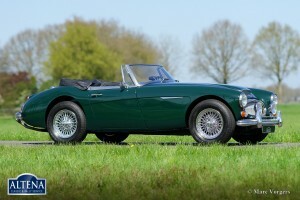 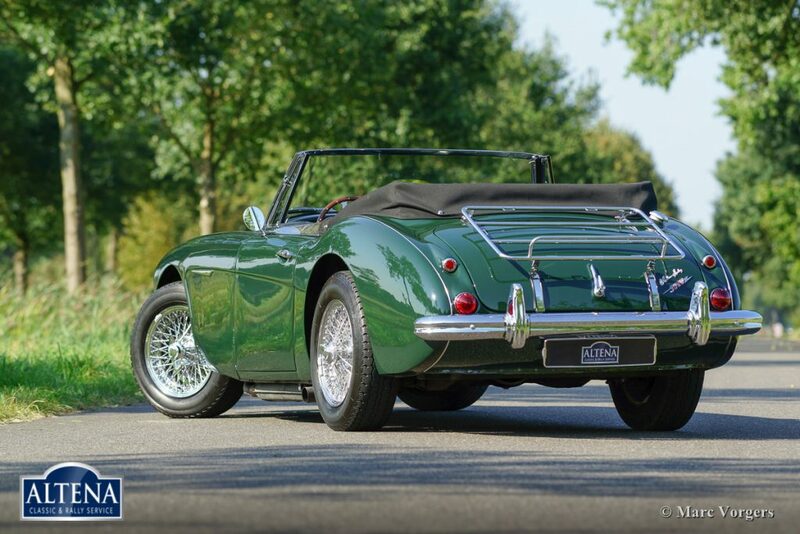 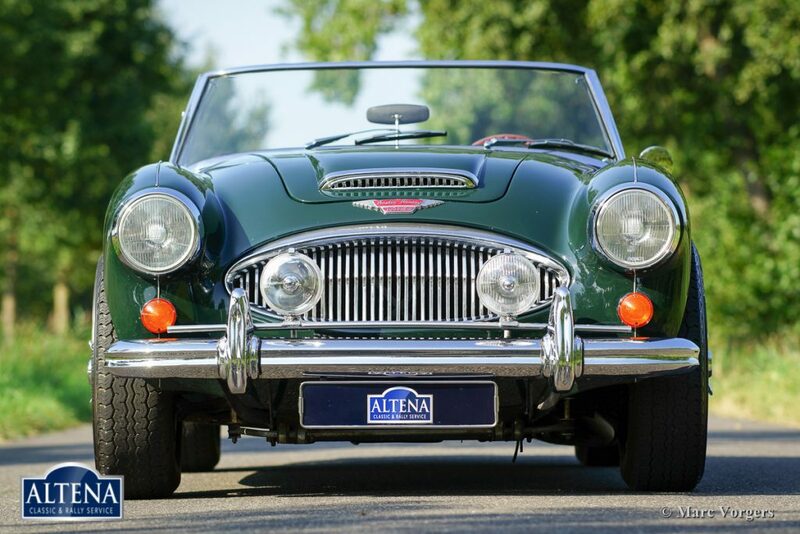 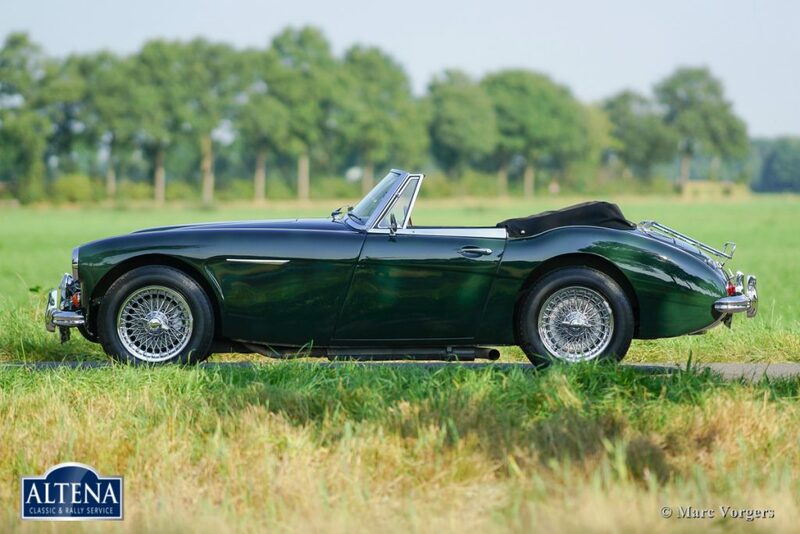 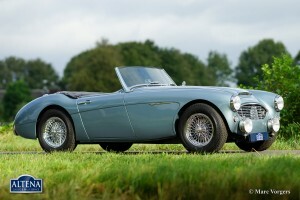 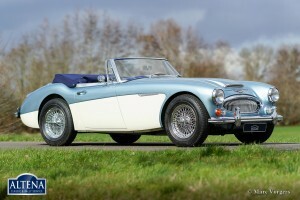 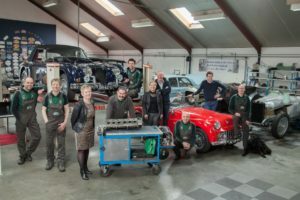 This Austin Healey was sold to the current owner by Altena Classic Service in the year 2003. 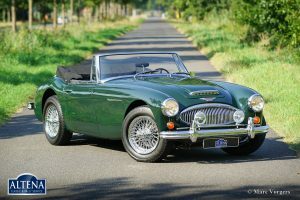 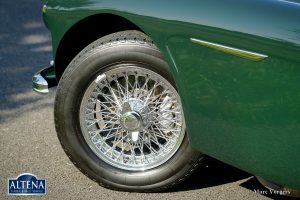 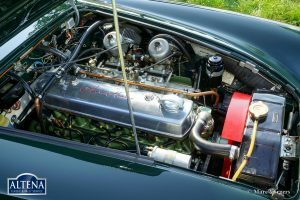 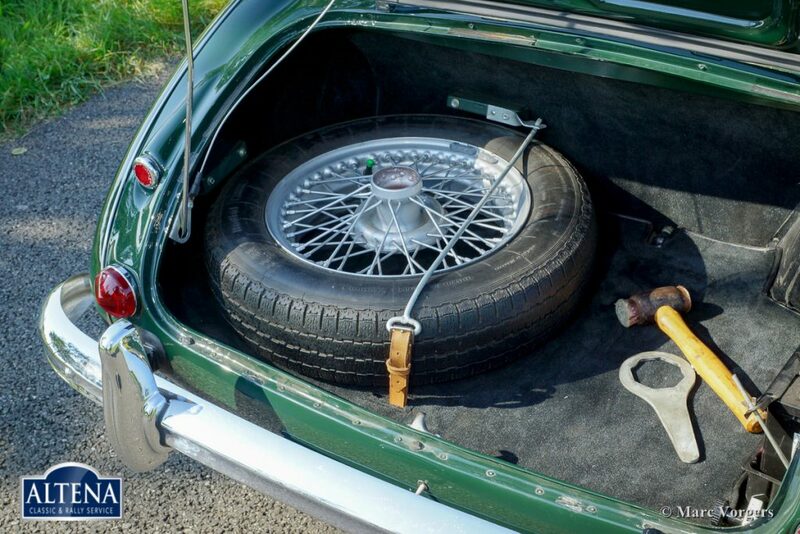 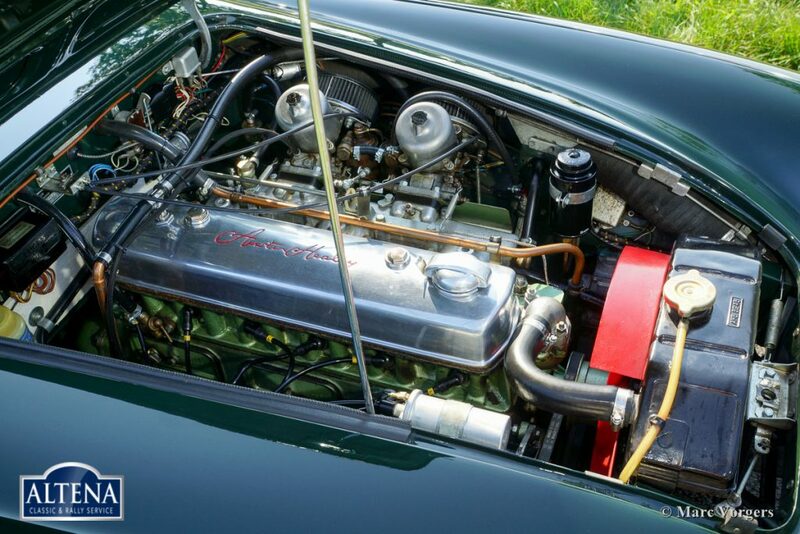 The Healey has been serviced perfectly; the car is in excellent condition and it drives perfectly! 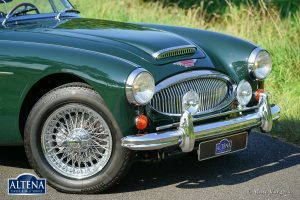 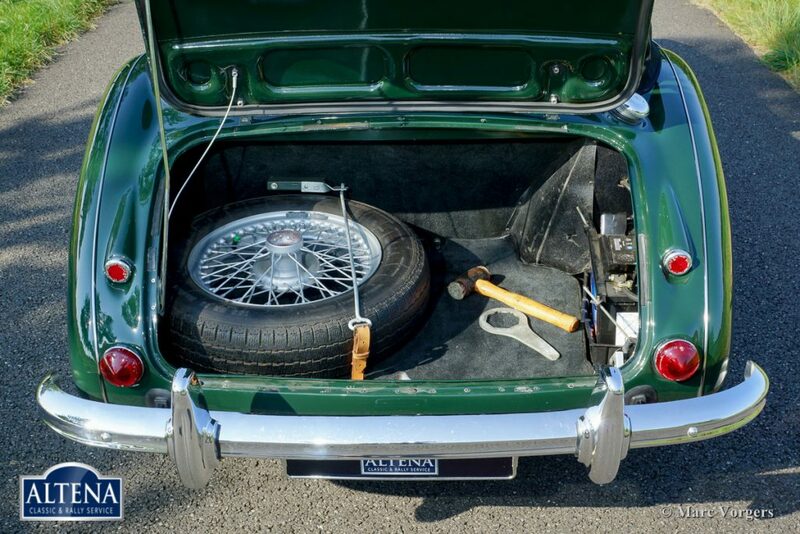 The car features overdrive, chrome wire wheels, chrome ‘knock off’ wheel nuts, a chrome luggage rack, a tonneau cover, an aluminium rocker cover, a chrome badge-bar with additional lamps, and a side exhaust which produces a magnificent sound-track. This is a delightful ‘Big Healey’!